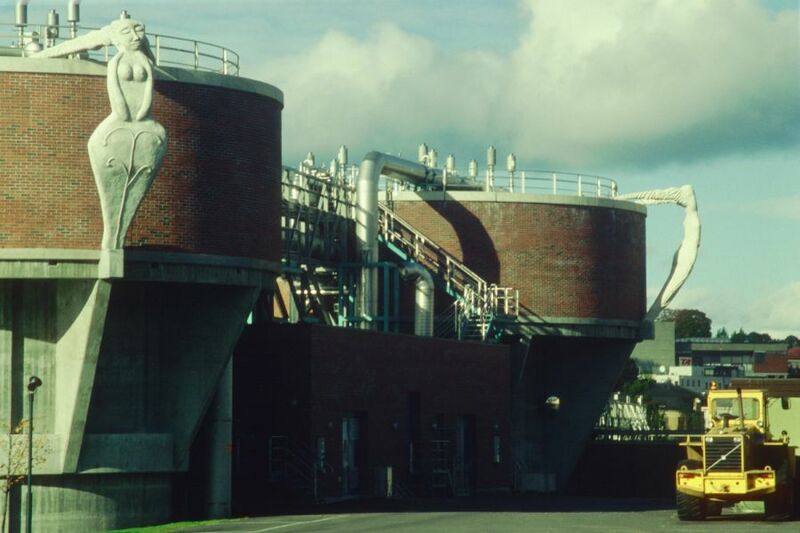 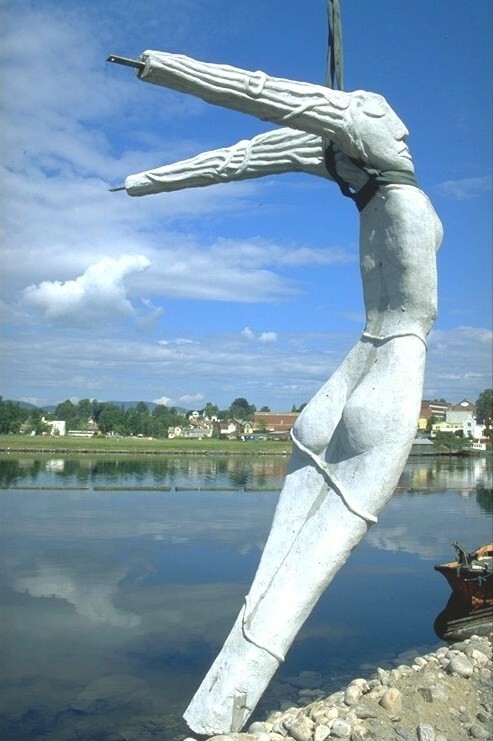 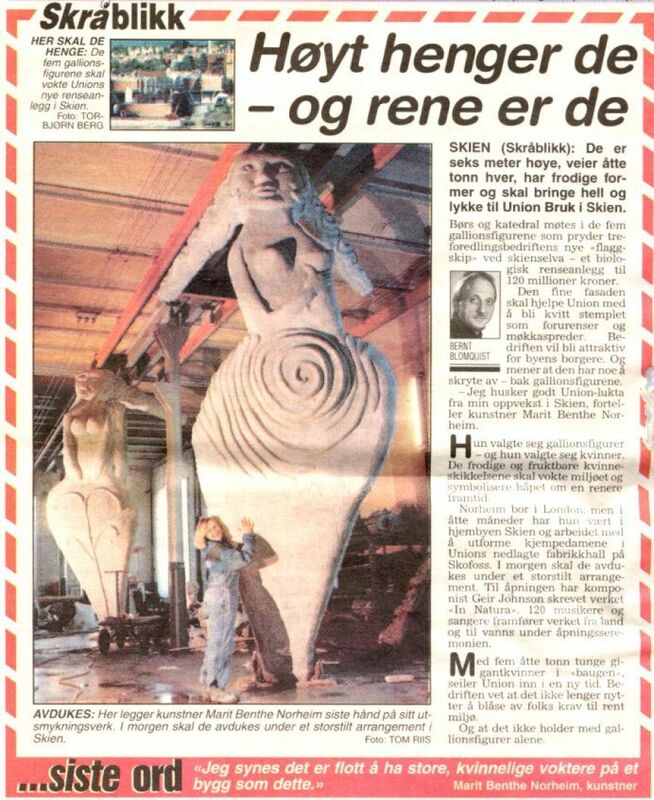 For the pulp and paper company Union/Norske Skog, Skien 1996. 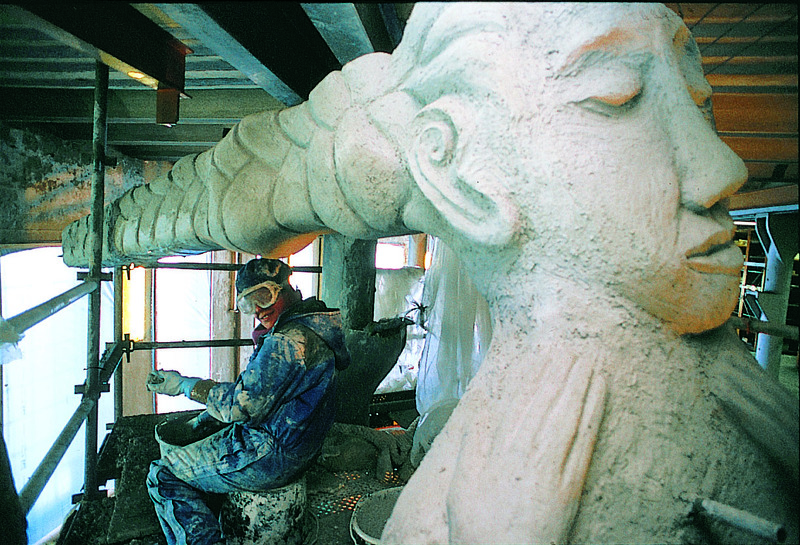 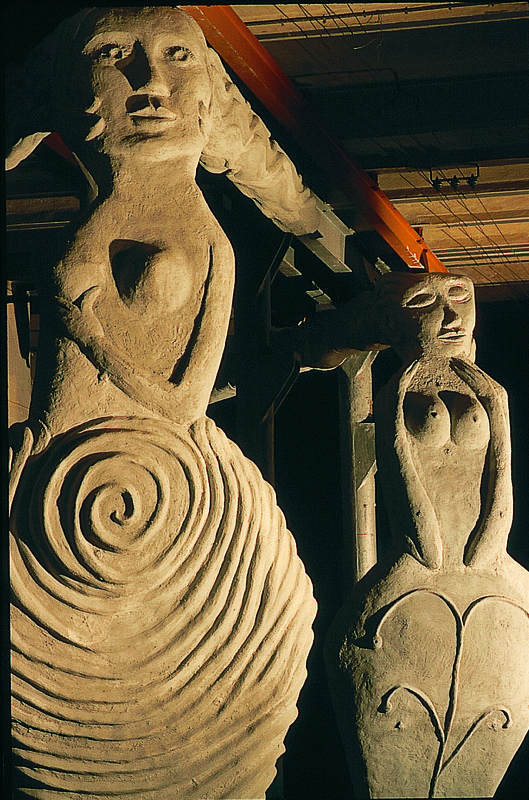 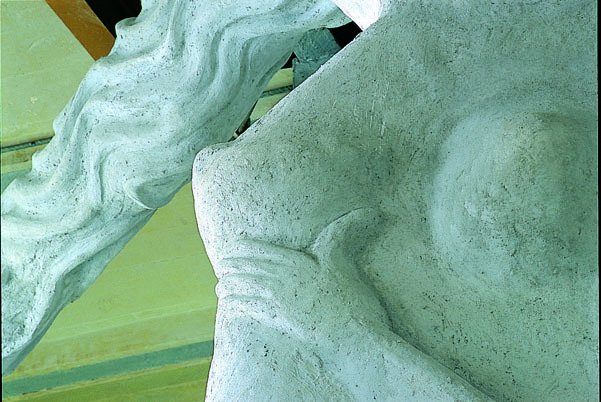 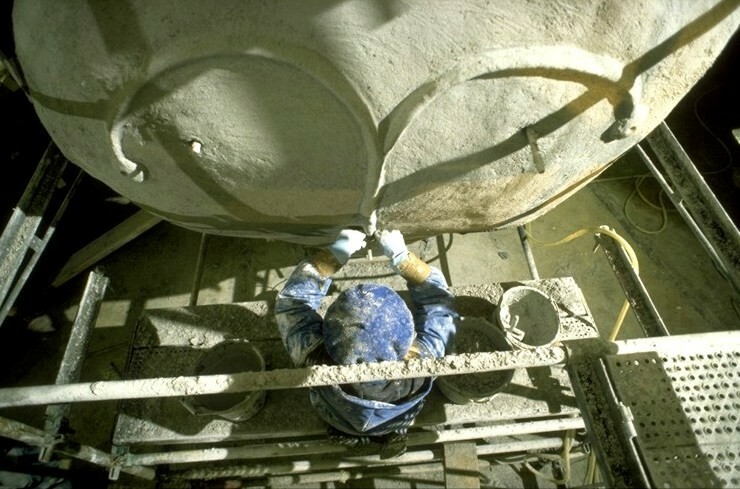 The sculptures are intended as an architectonic component of the two industrial purification tanks. 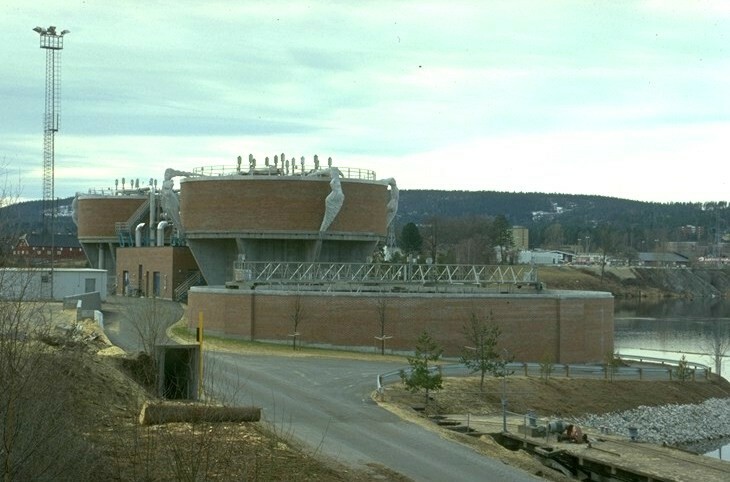 The company wanted to create a positive focus for their (at that time) new biological purification tanks. 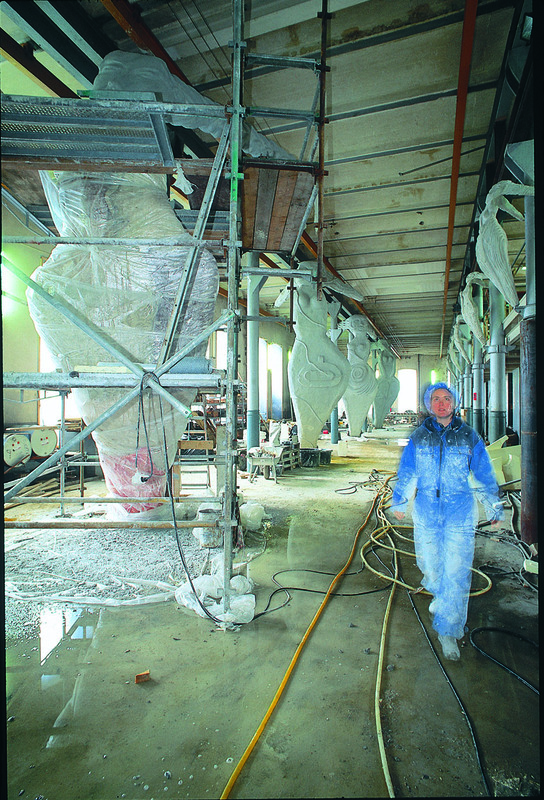 This extension became the company’s flagship, both in terms of content as well as architectonically/visually because of the tanks of the building. 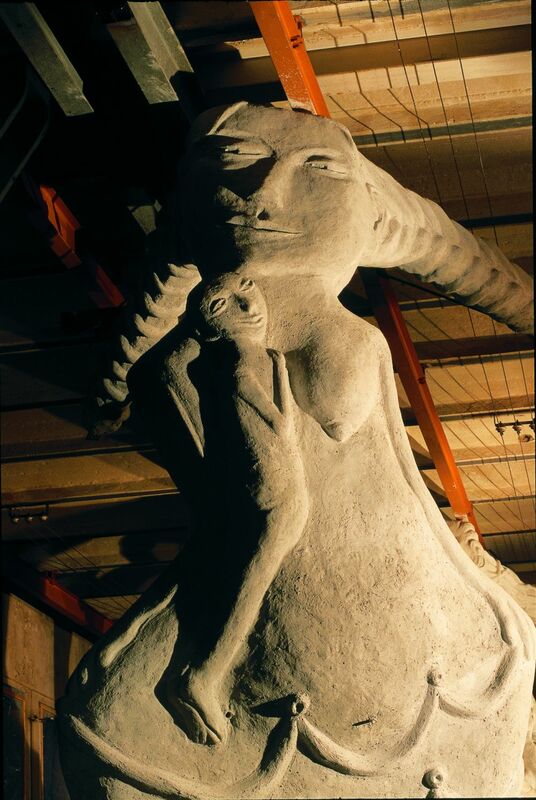 I chose to use a fertility cycle consisting of female figureheads as an extension of the tanks, so that they became a part of the building. 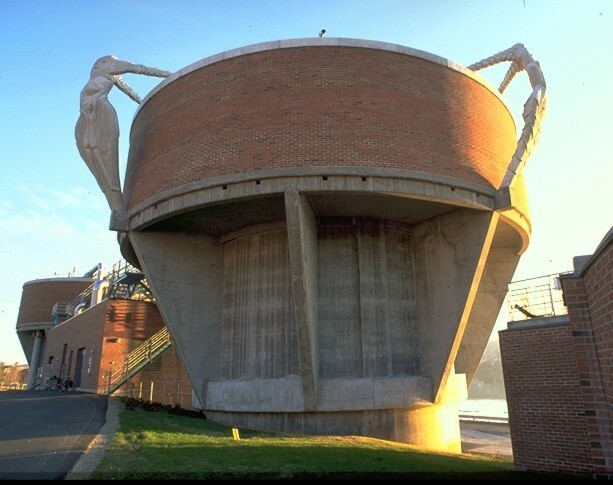 Just as the famous populist symbol of the figurehead has protected humankind on its voyages on unknown waters, so the cement women protect the biological, womb-like purification tanks. 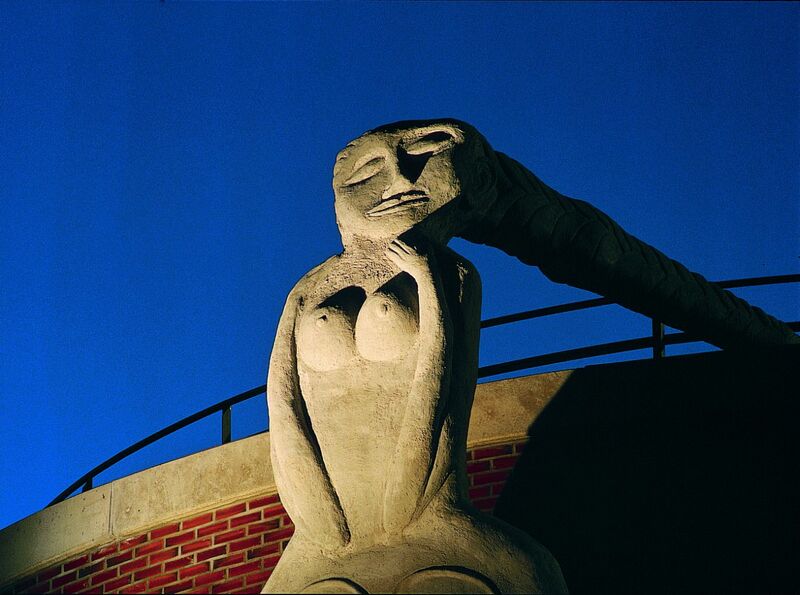 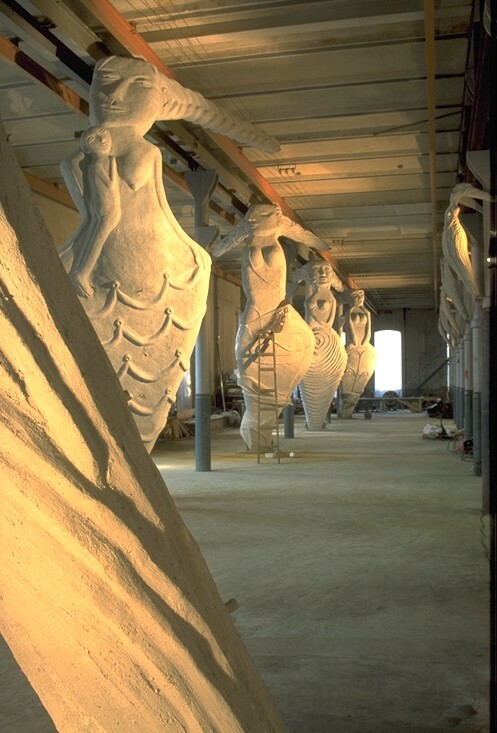 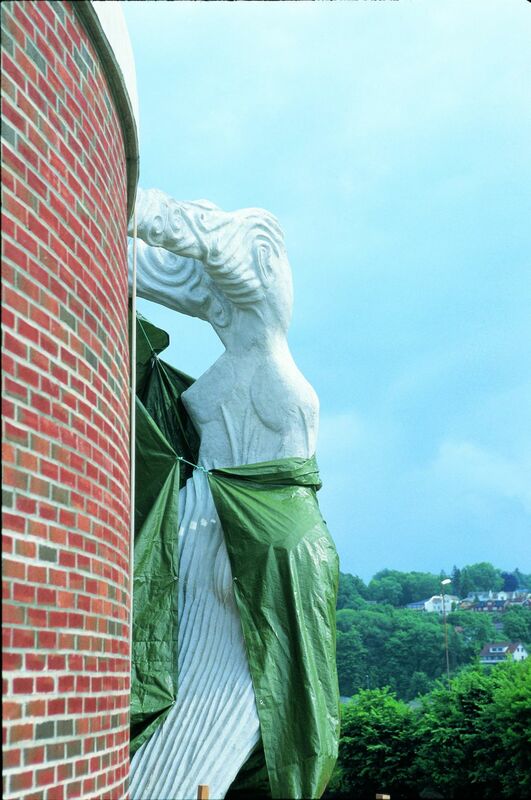 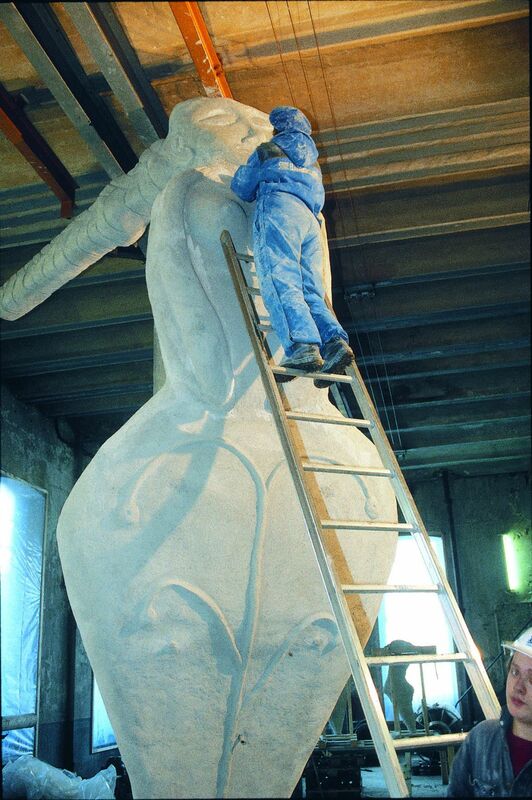 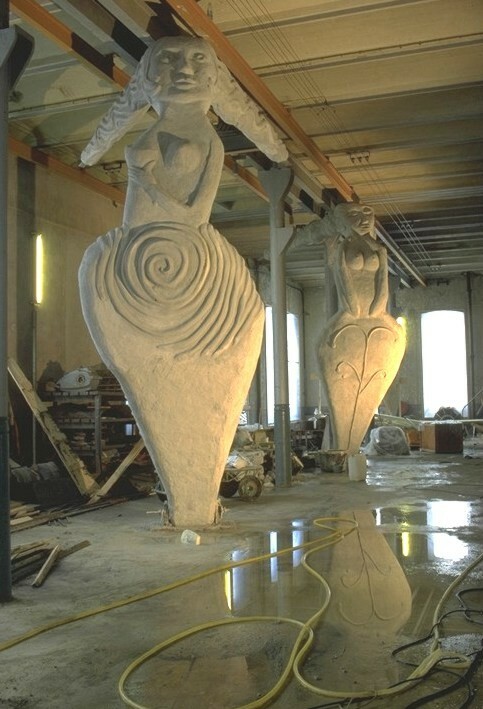 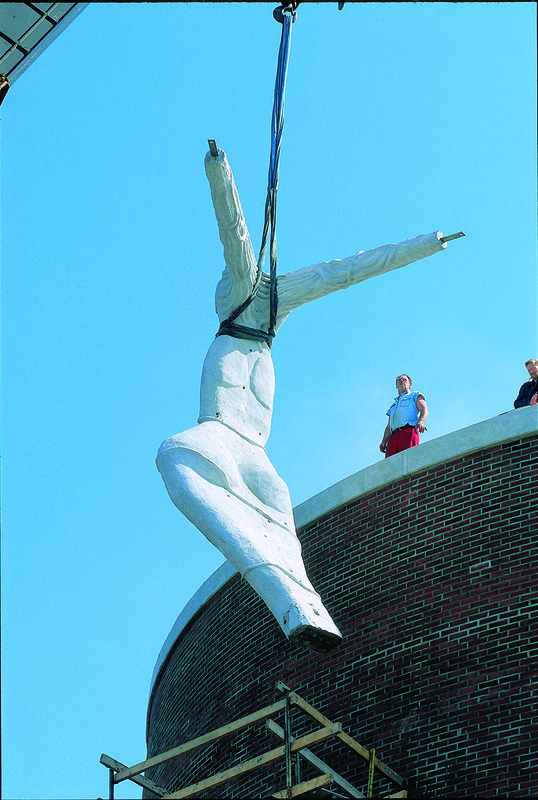 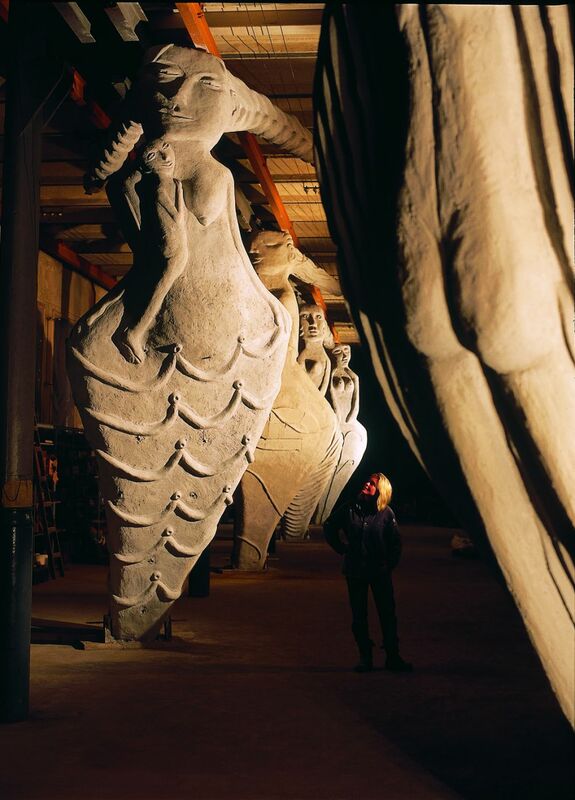 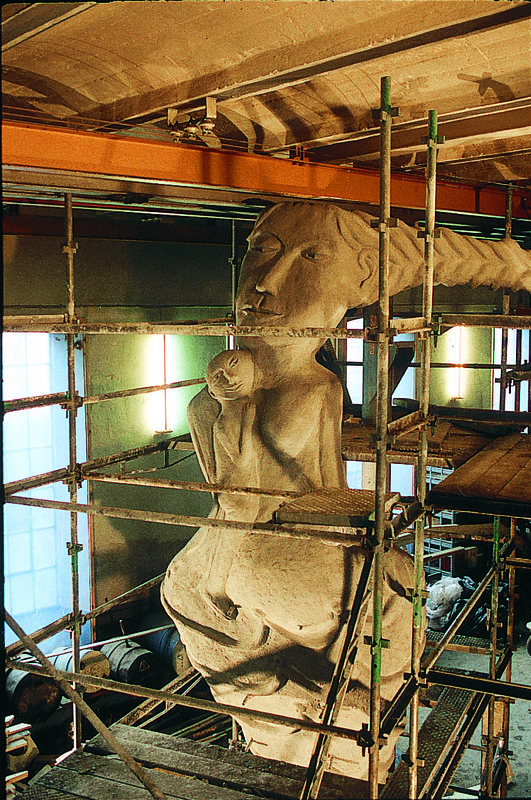 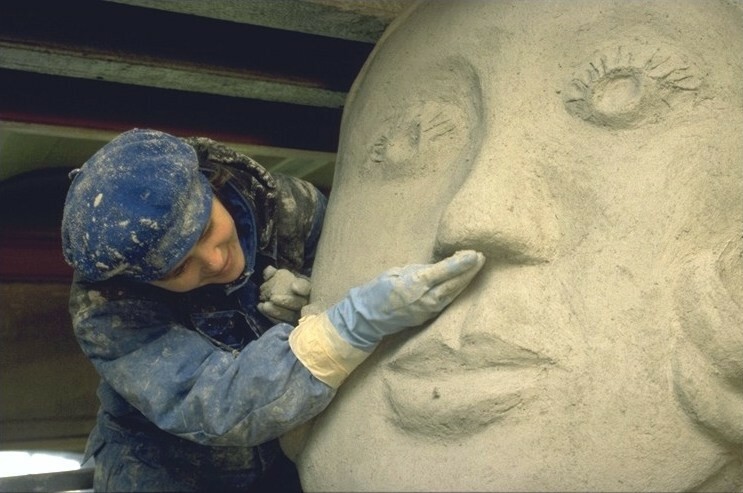 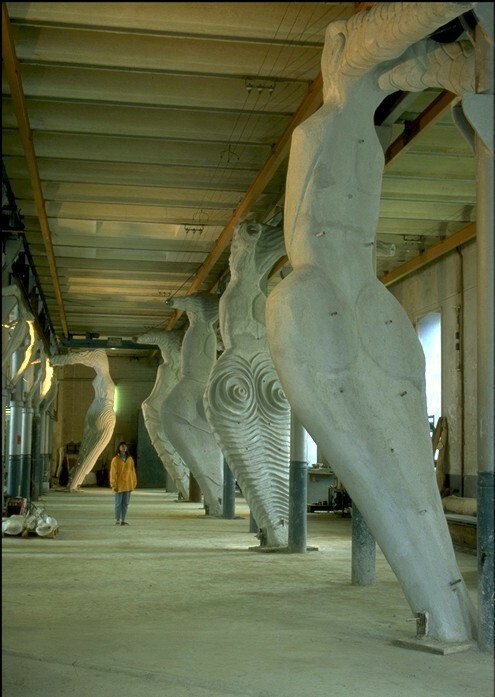 Each of the sculptures has its history associated with the process, as well as being intended as spiritual ”pin-ups” with content, in a very male-dominated factory environment, where the area around the commission was in use around the clock. 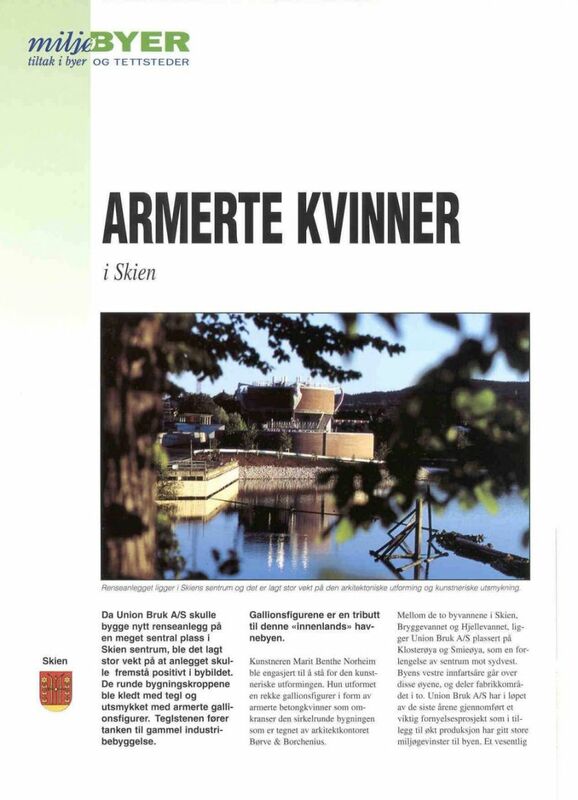 In addition to the employees being very enthusiastic about their ladies, the company also got its own page on the Ministry of the Environment’s website for both visually and environmentally improving the environment in Skien. 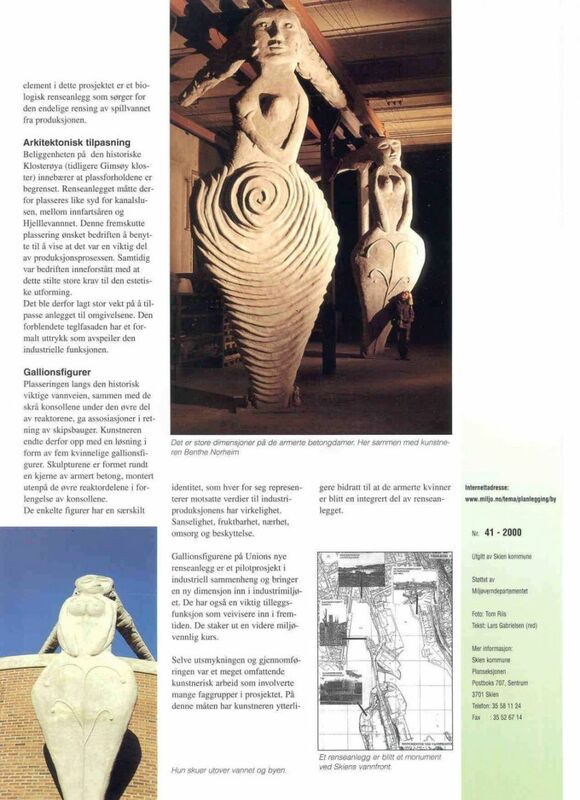 Norwegian design and industry magazines, both national and international, lined up to congratulate and praise us. 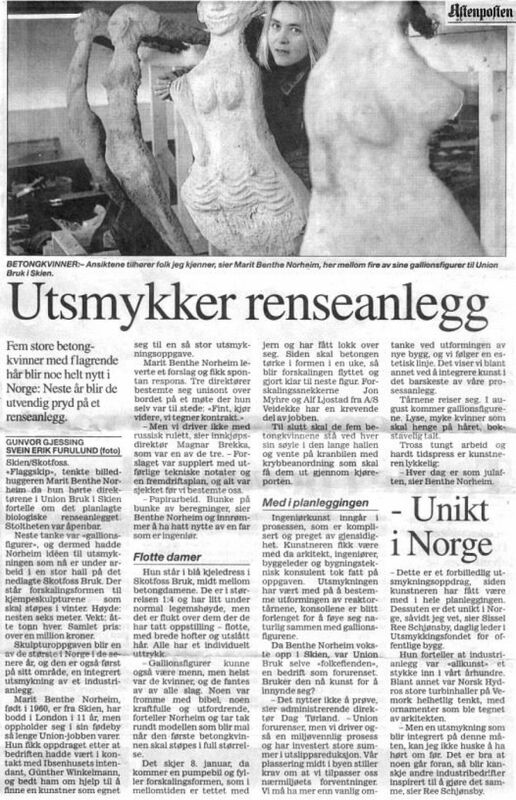 They were also named one of the 7 wonders of Telemark in the Telemark newspaper! 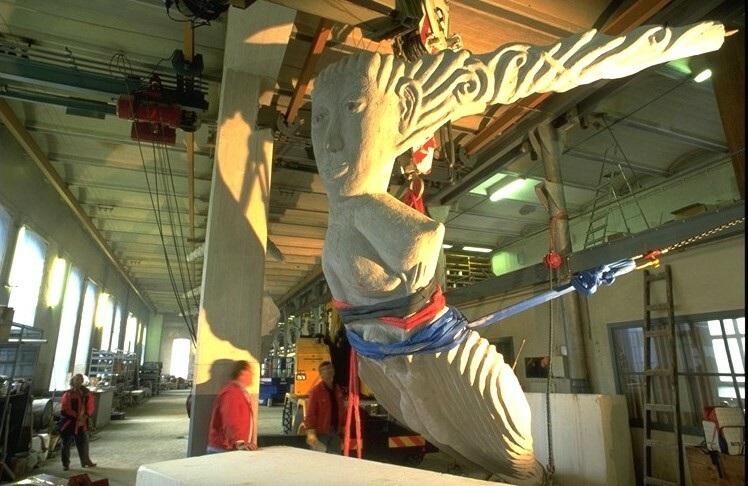 This is why they have allowed the purification tanks with the figureheads to remain and they are trying to find a new use for the building.